I didn't grow up around lizards. For all I know, there were lots of lizards scuttling through the undergrowth in the places I lived when I was young: Illinois, Michigan, New Jersey, New York. But they showed themselves rarely. I thought of lizards mainly as creatures that lived in zoos. The first time I saw a lot of lizards cavorting loose was on a trip to Venezuela about 30 years ago. For me, it was a seat-of-the-pants introduction to the concept of biological niche. I was staying in an urbanización profusely shaded by mango trees. Iguanas ran around everywhere – actually, mostly sat around – and the whole effect was so like peach trees and squirrels back in the Northeast that I realized I hadn't traveled far at all in ecological terms. Since then, I have lived mainly in Texas, where lizards and squirrels are the two most common backyard quadrupeds. Our iconic state animal is a lizard that you almost never see here anymore, the horned toad. When I was a child, horned toads were so common in Texas that my godmother, who lived in Killeen, scooped up a few out of her front yard and drove them to Illinois to give to me as pets. They didn't last long out of their habitat. But horned toads didn't last much longer in their habitat either, edged out by fire ants and by lethal Texas lawn chemicals that kill pretty much everything but fire ants. Though called toads or frogs, the Texas state reptiles are really lizards. But as Boria Sax notes in Lizard, the term is a catchall, not a useful taxonomic category. Conceptually, lizards include not just various four-legged reptiles, but also crocodiles and tuataras, salamaders and armadillos, dragons and dinosaurs. Lizards are scaly, four-legged, cold-blooded, inscrutable. But they are not malign, like snakes – though snakes are mostly malign in cultural imagination. Lizards are not torpid, like tortoises. In the variety of their behavior, lizards seem a lot like a microcosm of the animal kingdom itself. They can also seem a lot like the human race. Lizards, for all their variety and ubiquity, play subsidiary roles in myth and art. For that reason, Sax spends a good deal of his time tracing their cultural transformations into dragons and dinosaurs. Dragons and dinosaurs show a salient distinction in that the latter once existed and the former never did. But Sax argues that we extrapolated the lizard to create the dragon, and invoked the lizard to understand the dinosaur. True lizards appear infrequently in Western art. Sax notes a few who appear incidentally in paintings by Bosch and Breugel. Caravaggio has a Boy Bitten by a Lizard (150). The mocking of Ceres, from Ovid's Metamorphoses, appears here and there in Western painting. Sax prints a version by Adam Elsheimer (164) that shows the boy Stellio turned into a lizard, after his rudeness; more famous is Elsheimer's other treatment, engraved by Wenceslaus Hollar, which shows only the pre-lizard version of the ill-mannered lad. Lizards are also rare in literature. Here, as I've done with other Reaktion Animal volumes, I will try to fill in the gaps a little. Ovid's may be the most famous poetic lizard in the Western canon, but there are a few others lying under leaves here and there. Theodore Roethke begins "Wish for a Young Wife" with "My lizard, my lively writher / May your limbs never wither." That's just a fleeting image, though, as are the "alligator lizards in the air" from America's "Ventura Highway." 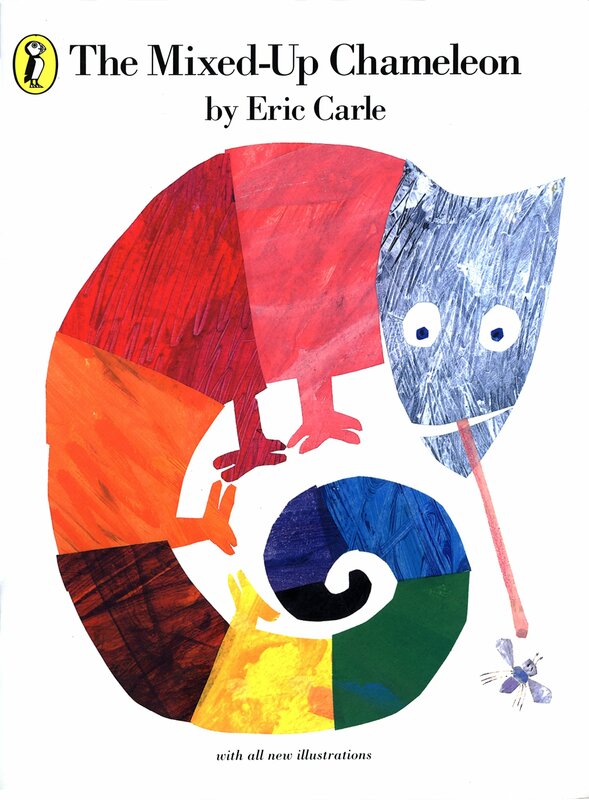 More thorough and more detailed is Eric Carle's treatment of The Mixed-Up Chameleon. Comma comma comma comma, comma, chameleon. and thereby gets at something about the lizard that Sax notices: it is alien, it is incipiently amphibian or legendary or extinct, but it is also us, like the Geico Gecko. which is the shattering sudden splash that marks his temporary loss. Again, a dragon from heraldry, but again, a living lizard: like the anoles that haunt our Texas garden, seen one moment in a flash of green and red, and the next moment, vanished and invisible. Sax, Boria. Lizard. London: Reaktion, 2017.